Why Are You Looking? 24 When the crowd saw that neither Jesus nor his disciples were there, they themselves got into boats and came to Capernaum looking for Jesus. 25 And when they found him across the sea they said to him, “Rabbi, when did you get here?” 26 Jesus answered them and said, “Amen, amen, I say to you, you are looking for me not because you saw signs but because you ate the loaves and were filled. The verb “looking” is the present tense of zeteo. It is not a complex word; it basically means “to seek.” Is seeking Jesus a good or bad thing? Previously they sought to make him king. Most often when zeteo is used in John, it refers to the Jews seeking to kill (or arrest) Jesus: 5:18; 7:1, 11, 19, 20, 25, 30; 8:37, 40; 10:39; 11:8. Perhaps that makes too much of the simple verb; perhaps not. In any case, the crowd finds him. They address Jesus as “rabbi”; this same crowd that previously had called him prophet (v.14) and wanted to give him the title “king” in v.15. In this context, “rabbi” is certainly less significant; it is the same title given to John the Baptist (3:26). It is a title of respect, but not a confession of faith. Jesus does not answer the crowd’s question but instead redirects the conversation to the crowd’s motive in seeking him (v. 26). 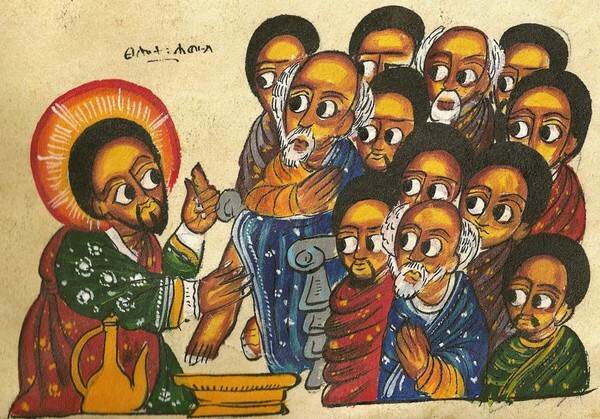 This is not the first group of people to see Jesus perform a sign and they are not the first group of people to be invited to see where, to whom the sign pointed. Jesus’ use of the noun “sign” (sēmeion) invites comparison with the two Cana signs (2:1–11; 4:46–54). The disciples saw the transformation of water into wine as a sign of Jesus’ glory; the royal official saw the healing of his son as a sign of Jesus’ ability to give life, and as a result they all believed in Jesus (2:11; 4:53). This crowd, Jesus says, hasn’t looked past the fullness of their stomach. It would be too much to give them credit for looking at least as far as Jesus being a great prophet like Moses – that conversation peeks in only with later reference to “bread from heaven.” At this point the people only respond to the miracle in terms of their full stomachs; they do not see it as a sign pointing to something greater.